September 21 & 22, 2019 | 10 a.m. - 5 p.m. 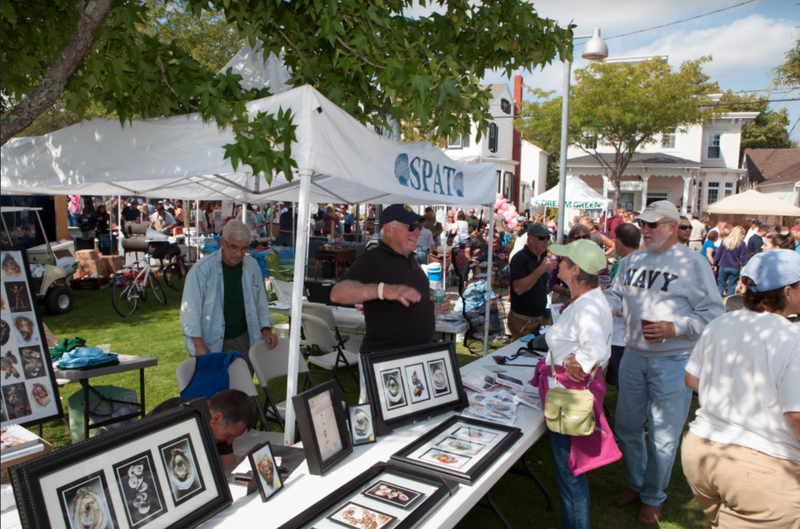 Thank you for your interest in applying to be a vendor at the 29th Annual East End Maritime Festival, a North Fork tradition that has evolved into a signature regional event. Hosted by East End Seaport Museum & Marine Foundation (EESM), the Festival benefits educational programs, museum offerings, and the preservation Long Beach Bar (Bug) Light. Last year, 30,000+ people enjoyed a parade, classic boat displays, kayak races, music, children’s activities, maritime demonstrations, and of course our great vendors. * Please review VENDOR REQUIREMENTS below before submitting an application. A printable version is available to download here. Acceptance is limited by availability. Completed application must be submitted with 50% deposit and non-refundable $20 application fee. Once an application is complete, applicants will receive notice of acceptance or rejection within 3 weeks. If accepted, balance must be paid in full. Rejected applications will be issued refund for space fee. Application fee is nonrefundable. No refunds will be issued for vendor cancellation. select vendors/exhibits on basis of conformance/propriety with Festival. exclude vendor from displaying any items not listed on application. EESM is a 501(c)(3) non-profit charitable organization. All fees paid are considered nonrefundable donations from those vendors accepted as participants in the East End Maritime Festival. Vendor agrees to hold East End Seaport Museum and Maritime Foundation, the Village of Greenport, East End Maritime Festival, its employees, directors and volunteers harmless against possible loss, theft, damage or acts of God occurring during Festival. Space size is 10 x10 feet. All tents must conform to space size. Vendors requiring additional space must purchase 2 spaces. Vendors are to supply all tables, chairs and protection from the weather. Vendor display may not extend farther than allotted 10 feet. There is no electric hook-up available. No generators are allowed. Specific vendor spaces cannot be reserved. Space assignments are at the discretion of the committee. Details on space assignment, vendor unloading and parking will be provided one to two weeks prior to the Festival. For planning purposes, vendor displays must be set-up each day (Saturday and/or Sunday) in the morning from 7 a.m. to 9 a.m. (depending on your assigned location) and disassembled and removed each evening (Saturday and Sunday) at 5 p.m.
Each vendor spot will be numbered and Festival staff will be available to help you find your location. Remember: Space is limited and assigned on a "FIRST RECEIVED" basis. No refunds will be issued. No exceptions. If the show has to be cancelled due to unsafe weather conditions or other conditions beyond our control, no refunds will be made. Cancellation of the show is at the sole discretion of the Maritime Festival Committee and such decision will be final. Fees will not be applied to subsequent shows. Vendors are required to unload and move vehicles from Festival area (Front and Main Streets or any street used as vendor locations.) by 9:30 a.m. to park in a lot or on side road. We know this may be inconvenient, but a large turnout is expected. A limited number of spaces are available for parking near the craft fair area so check in early. Parking is on a first come, first served basis. supply photographs of merchandise to be displayed. provide detailed merchandise descriptions. (Please refer to application for further details. New York State requires that we have your Taxpayer ID number on file. East End Seaport Museum and Marine Foundation does not assume responsibility for any lost, stolen or damaged goods. The Maritime Festival Committee reserves the right to ask any vendor who has misrepresented items for sale to leave and forfeit registration fee. We also ask all vendors to promote the East End Seaport Museum Maritime Festival in a positive manner and work with fellow vendors to provide a positive and enjoyable atmosphere for attendees.